Spartan Logistics makes it a point to provide a complete logistics management solution to meet the needs of our customers, and we recognize that every business’ storage and distribution needs are unique. Whether you need contract or public warehousing, it is important to know what your space requirements will be. If you already know the specifications of your company’s products, you can complete our warehouse space calculator to find out how much space you’ll need. Even if you don’t know the exact specifications, or your products are not palletized, we can still help. Simply give our team a call and we can walk you through the process. 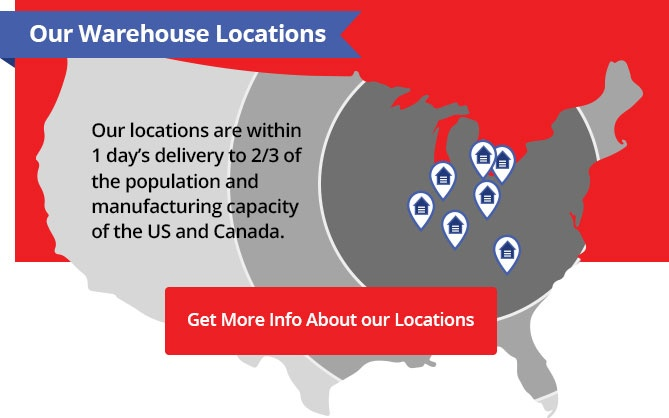 Our team of warehouse management experts have the experience needed to determine the space your products will require, no matter what they are. By simply filling out a few fields on the adjacent form, you can get a reliable estimate of what your specific warehousing needs will be. You can even enter the information for future storage to see what the space requirements will be before you actually need the space. While the standard U.S. pallet size is 48" x 40", we know that not all pallets are the same size. A standard pallet typically takes up 13.333 square feet. Once you've calculated your warehouse square footage needed; your next step is to begin your search for a warehouse location. Whether you are a small or large business, Spartan Logistics can help reduce your costs when you outsource your warehousing and fulfillment needs. My product can be stacked how many pallets high? Enter 1 if they cannot be stacked. My pallets are what size? Choose The utilization that closest matches your needs ? What are the most number of pallets you will need to store? Now that you know how much space you need, you are ready to get your free quote. Simply fill out our quick and easy request form, and we will get back to you as soon as possible. 50% utilization: typical food grade utilization for product that stacks neatly and turns 10-15 times per year. Date code will keep every bay from being fully used.